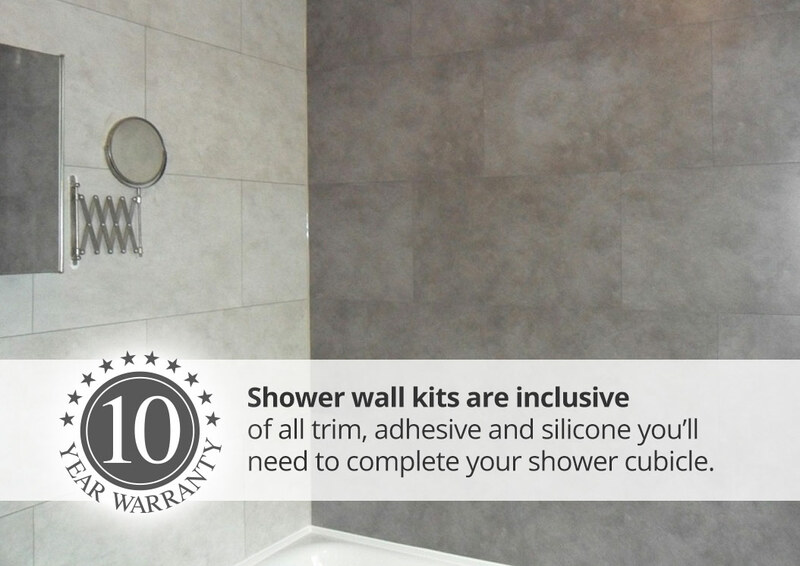 Say goodbye to your tired tiles with our ultra hard wearing Shower Wall Kits. 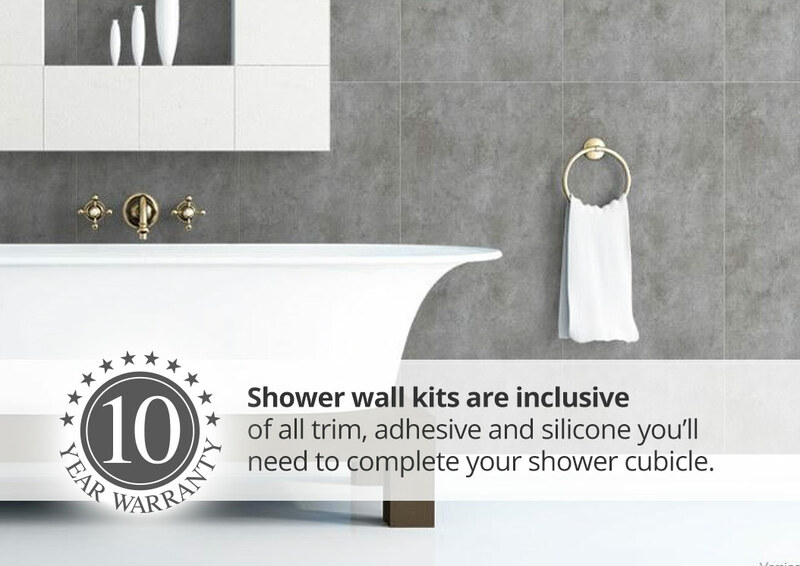 These all inclusive kit does away with the mouldy grout of tiles and creates an hygienic, easy to clean, UV resistant and 100% waterproof finish, which is very simple to DIY install either on flat dry walls or even existing tiles! 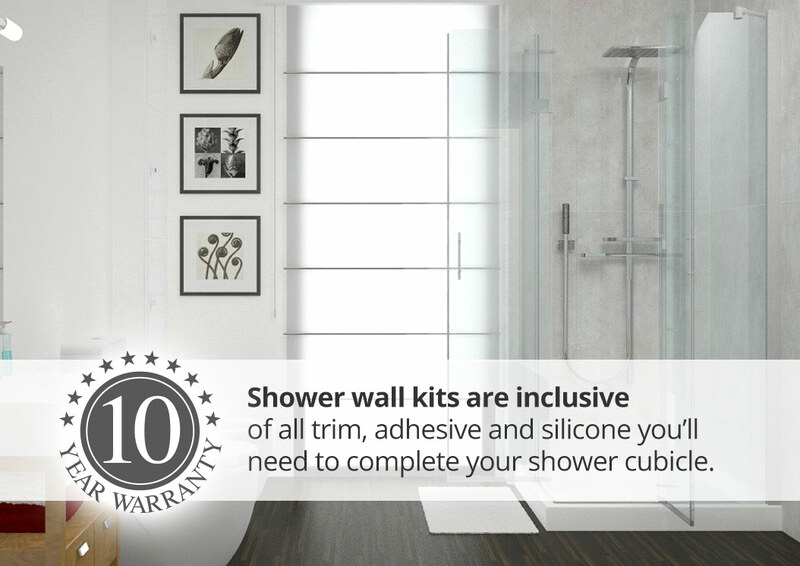 All of our 2 and 3 wall shower kits come with enough adhesive, silicone and base trim for the area stated. If these kits are not suitable for your requirements, give us a call on 0114 279 9188, and we can tailor a quote to your needs. 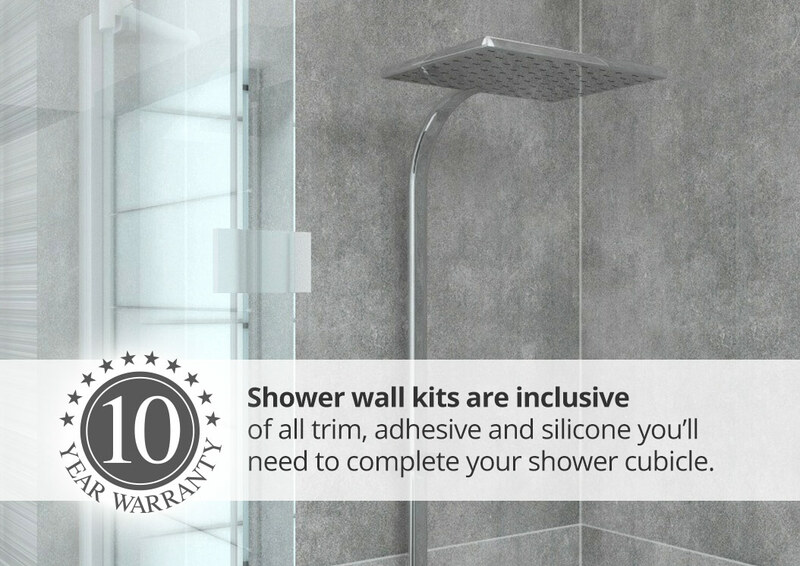 With 1000's of happy customers - take a look at our Shower Wall Kits reviews - we confidently back our products with a comprehensive 10 year guarantee! Order online or call us today for friendly, expert help!